Evernote has nearly 40 million individuals using the app on every major desktop, mobile and tablet platform. The service’s ability to easily save, sync and find information across devices will soon be available to small and medium businesses that often struggle to find a single product that can support the varying needs an increasingly mobile and dispersed organization. Developed to address the specific requirements of the SMB market, Evernote Business allows employees to create, collaborate and recall their documents and projects wherever they are using the device they have at hand. In addition, Evernote Business also introduces a set of functionality and support that make organization-wide deployment and administration simple. Powerful Sharing – Businesses can create a directory of notebooks that are shared and available to all employees. Employees can easily share and collaborate with other members of their organization. Admin Console – Centralized console for Admins to easily review and manage user access and permissions for the entire organization. Own Your Data – Policy allows businesses to own data contained in designated Business Notebooks, while giving individuals full ownership over data contained in their personal notebooks. Dedicated Support – Access to a dedicated Customer Success Manager to ensure prompt assistance for any and all Evernote Business-related needs. 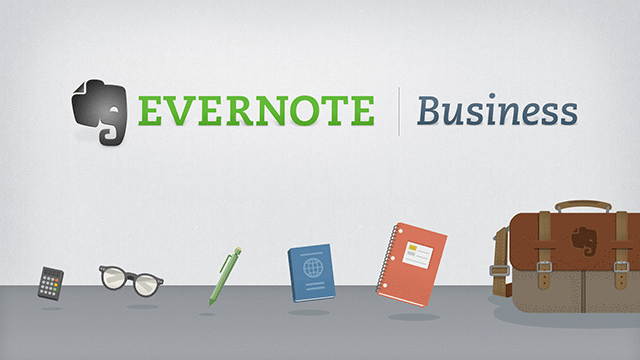 Easy Deployment – Multiple ways to quickly get your entire company started on Evernote Business. Simple Billing – Ability to pay for the entire organization using a single credit card or invoice. Existing Evernote users will enjoy the same Evernote experience, with the addition of these new features that make Evernote Business an SMB tool, without feeling like one. To learn more about Evernote Business, and get early access to the latest news and updates, visit the Evernote Business site. Ranger Browser For iPad Review - Complete Parental Control & Web Filtering Features!